Following Phase 1, Successfully Received the Contract for Large-Scale Container Terminal Construction at Mombasa Port in Kenya | TOYO CONSTRUCTION CO., LTD.
Toyo Construction Co., Ltd. (President: Kyoji Takezawa) received a tender for “Package 1 Mombasa Port Container Terminal Construction Project” from Mombasa Port Development Project Phase 2 tendered from the Kenya Ports Authority. The signing ceremony was held on March 12th. The tender value is about 13.5 billion yen with a construction period of 38 months and is scheduled to be completed in 2021. As in Phase 1, which was the first project we received the tender from Africa and was completed in February 2016, this project will be carried out with the implementation of STEP (Special Terms of Economic Partnership) which is part of a loan assistance provided by the Japanese government through the Japan International Cooperation Agency (JICA). For this project, Japan’s high port construction technology is required such as soft ground countermeasures. 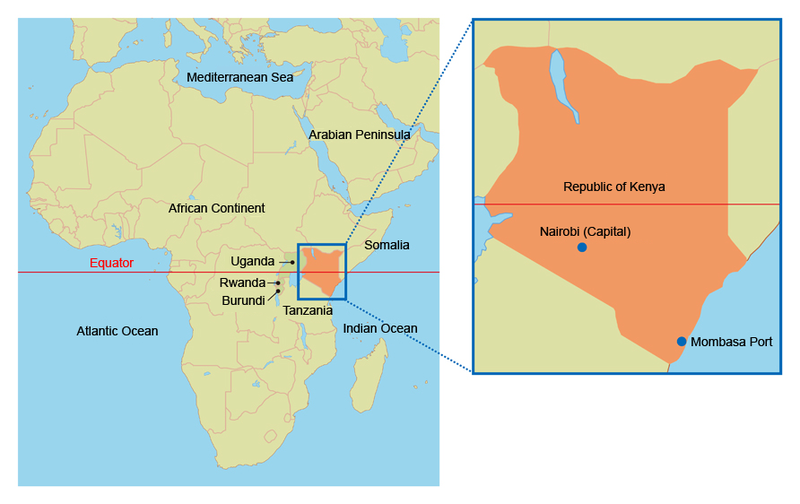 Mombasa Port is the largest commercial port in East Africa and plays an important role as a gateway to the “northern corridor” connecting neighboring inland countries such as Uganda, Rwanda and Burundi. Due to the remarkable economic development in recent years in the region, the container handling volume at the port has increased sharply (2002: 300 thousand TEU *, 2015: 1.07 million TEU), and because a demand exceeding 2.6 million TEU is expected by 2025, we are planning to further upgrade the port capacity by improving the new container yard and quay, following the Phase 1 project (With a handling capacity of about 550,000 TEU). 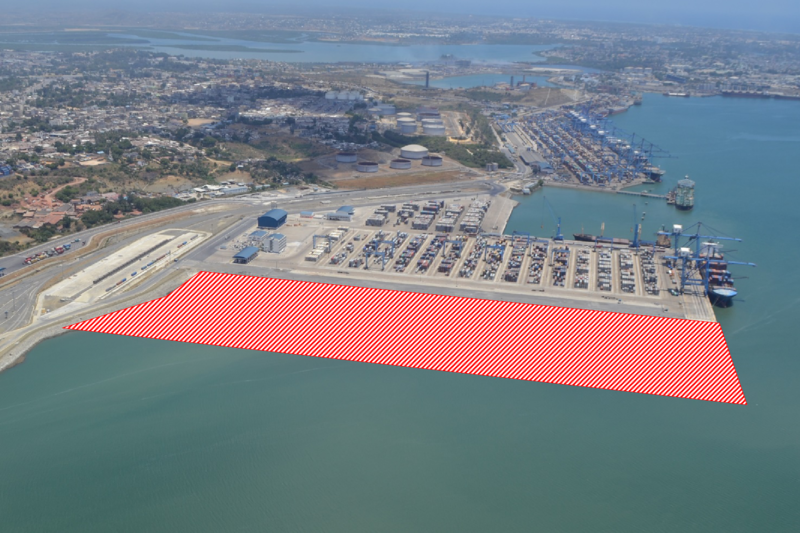 Main constructions involve pier type quay (depth 15 m, length 250 m) connected to a container terminal built during the Phase 1 project, construction of a container yard of about 17 ha (including landfill and ground improvement works) and construction of 16 buildings. After completion, it is expected that the improvement of capacity to receive containers equivalent to about 500,000 TEU per year will be improved. 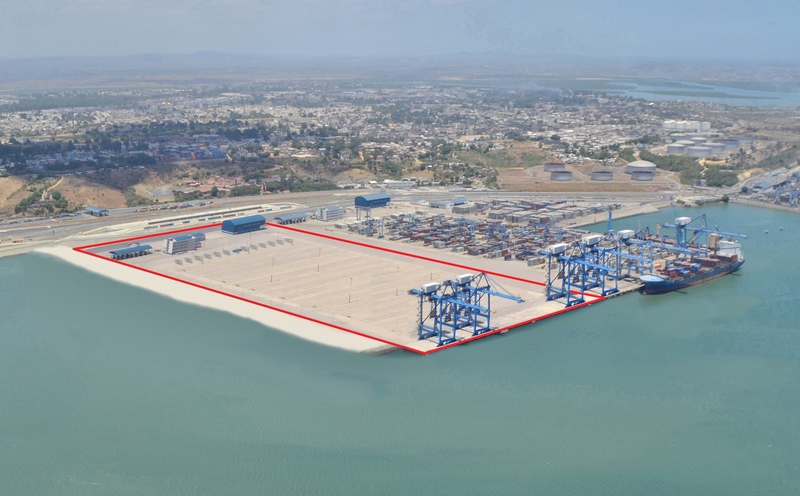 We have completed construction of Phase 1, which is the largest port project in East Africa and tendered in 2011, within the scheduled construction period contributing to economic development not only in Republic of Kenya but also in the East Africa region as a whole. In addition, we have received high praise for actively handing down Japan’s advanced construction technology such as strict safety and quality control, operation of construction machineries, and welding, to the Kenyan engineers. For this project, we will continue to unite the company’s technological capabilities together and continue to work by making full use of our experience and achievements that we have gained in Phase 1 projects. We will contribute to this economic development by implementing further technological transfers and will contribute to “high quality infrastructure investment” to achieve sustainable development goals (SDGs) promoted by the Japanese government. TEU * Unit indicating the number of cargo handled by the container terminal. One TEU indicates one 20-foot container. Supplementary Equipment Works Water and sewerage, electricity, fireproof installation work etc. Landfill materials will be sands collected from the ocean bottom. Thick weak layers are accumulated on the existing ground, and by adopting PVD (Prefabricated Vertical Drain) construction method widely adopted in Japan, it is possible to accelerate the consolidation of a soft viscous soil, thereby making possible the acceleration of construction works. For inquiries, please contact: Toyo Construction Co., Ltd.